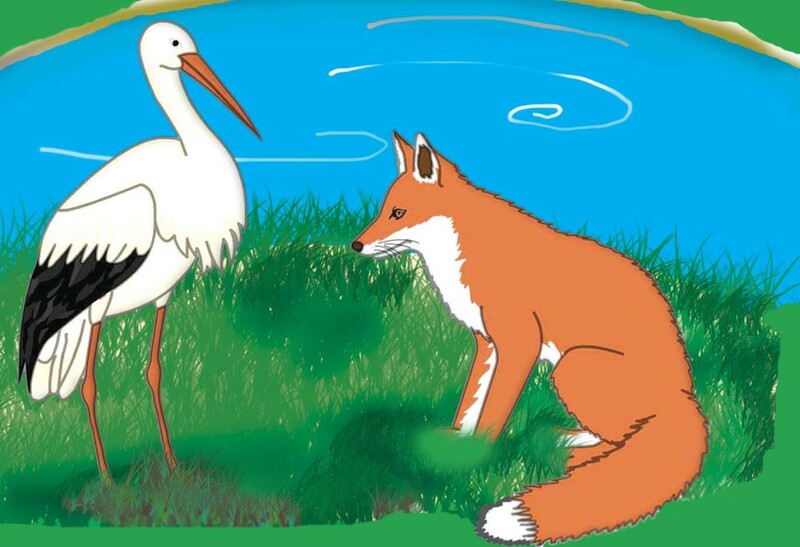 Most kids love short stories and popular fables like the fox and the stork. 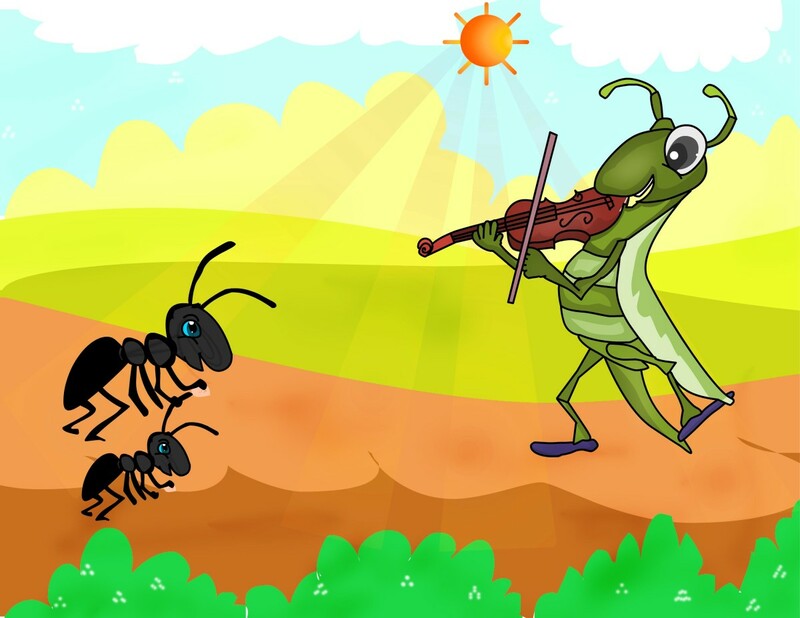 Small stories for kids can be not only a fun way to entertain them but can also be quite educative in terms of imparting valuable lessons in life. 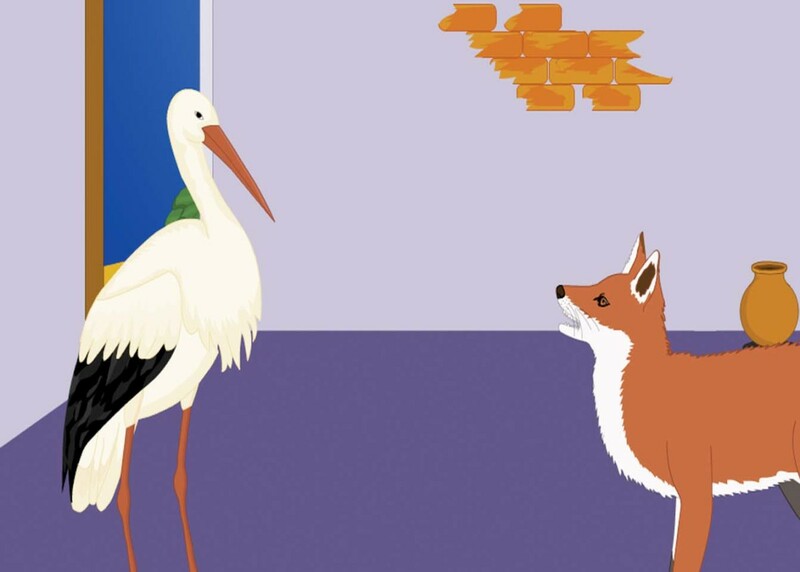 The fox and the stork story is one such story that can be fun to hear but does convey an important moral. Of course, make sure that the lesson is not the main thrust, it may put off the audience! The best lessons are those we learn ourselves. Story time can also be an excellent way in these busy days for parents to spend 'quality' time with their children. 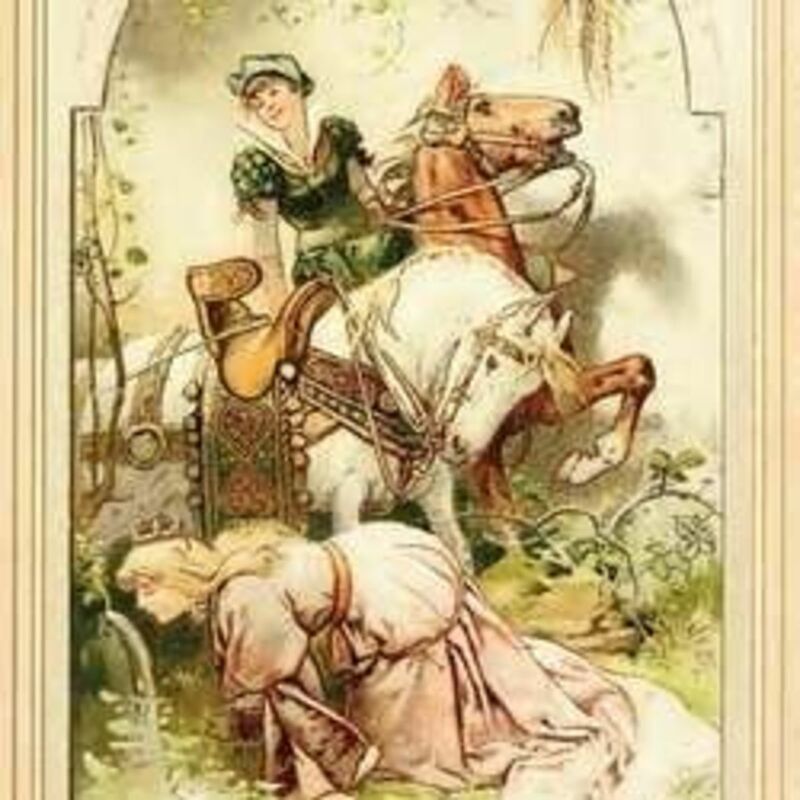 Reading / remembering some small stories for kids can thus be quite valuable to a parent. 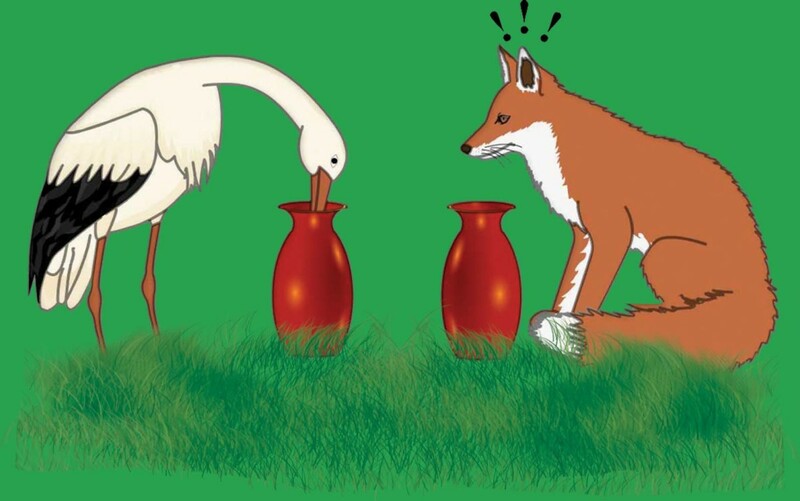 Given below with illustrations is the popular fable of the fox and the stork. This small story for kids would help a child to understand that we need to treat others as we would have them treat us. Elly came to Foxy’s house. Elly could smell the soup. “The soup smells lovely,” said Elly. “Thank you,” said Foxy. He then served the soup in flat plates. Foxy had his soup very quickly. Poor Elly could not drink the soup with her long bill. 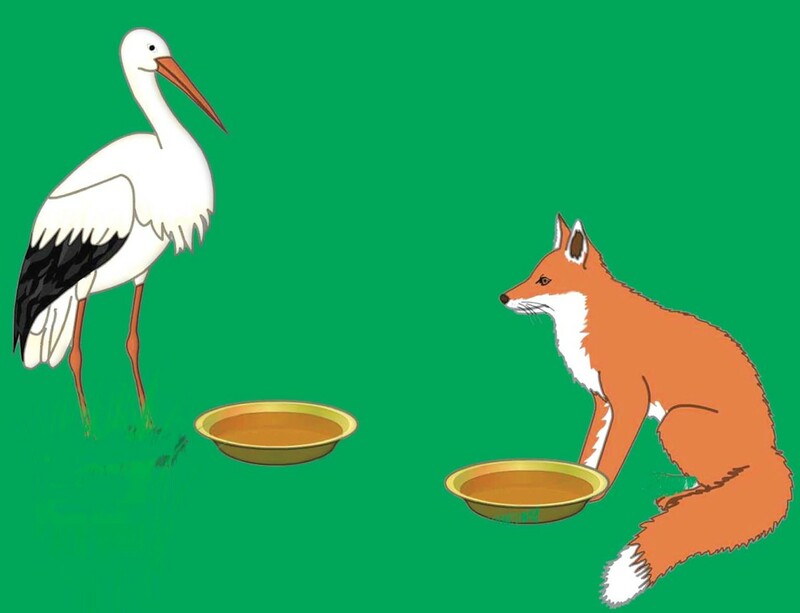 Foxy looked up at Elly and said, “Oh, don’t you like my soup? Well, I shall have your share also.” Poor Elly went home hungry. She was also very angry! After a few days Elly said, “Foxy, it is my turn to invite you for dinner. Please come to my house tonight.” Foxy was very happy and went to Elly’s house. He was very hungry. “Thank you for calling me for dinner, Elly,” said Foxy. “That smells really lovely,” said Foxy. Elly brought the soup in two tall pitchers. “Please have your soup, Foxy,” said Elly. She put a pitcher of soup in front of Foxy. Elly drank her soup very quickly. Foxy only looked at Elly and the lovely soup. His mouth could not reach the soup inside the tall pitcher! He went home very hungry and also very angry! What is the moral of this story? We should treat others well, then we may expect to be treated well. Foxy Fox pulled a fast one on Elly! Where poor Elly was expecting to have a good dinner, Foxy serves her soup in a flat plate, not knowing or caring that she would not be able to have the soup. Later on Foxy gets the same treatment. He is served soup in a tall pitcher, which he cannot of course reach into. 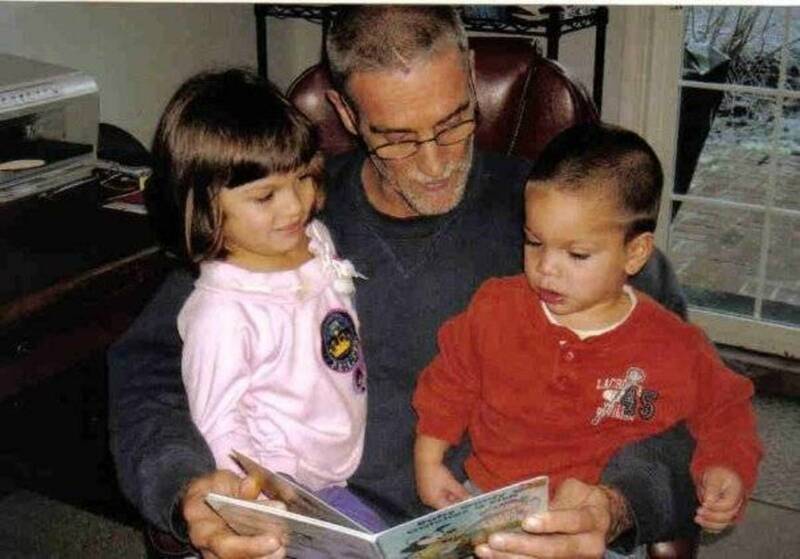 Most children love to be read out to or told stories to. They never seem to tire of listening to even the same stories again and again. 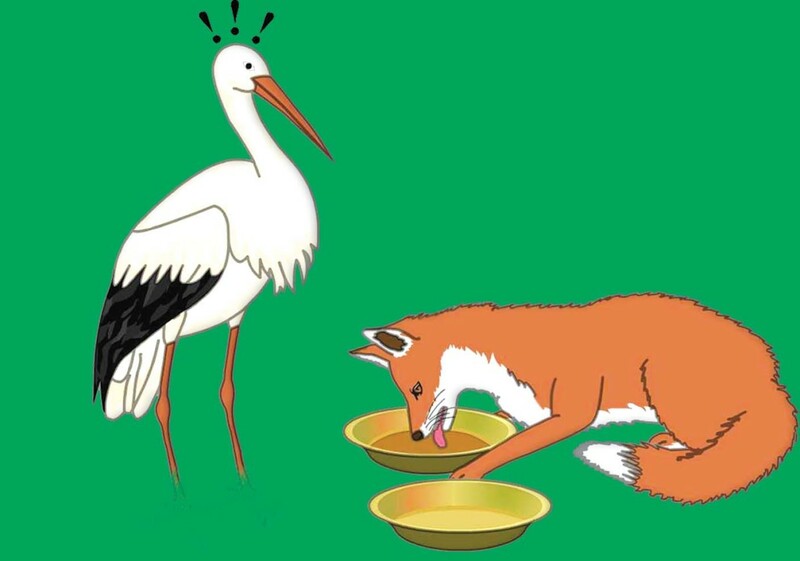 The story of the stork and the fox as given above with illustrations should be of interest to most kids. They also love the 'quality' time being spent with the parent or care giver. 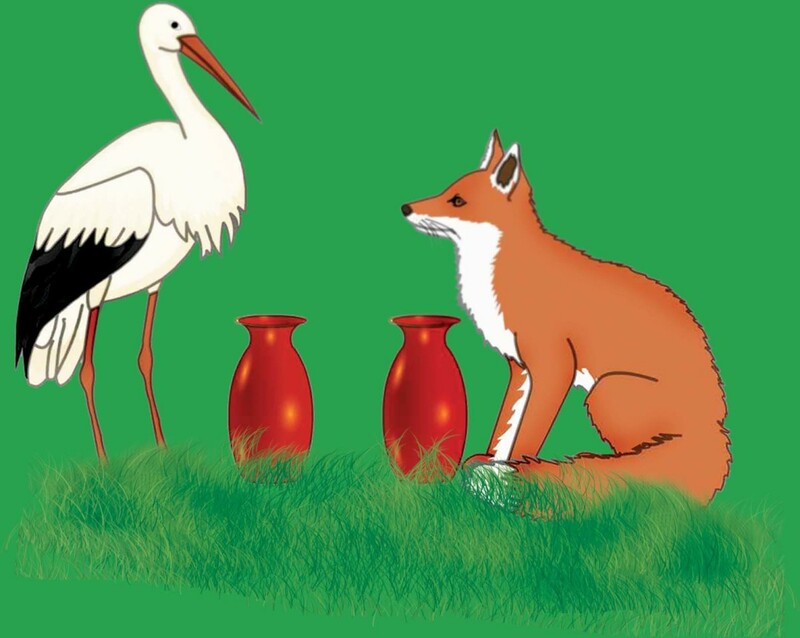 Small stories for kids like the fox and the stork can be not only entertaining and fun but can also convey good values and morals. Picture books with short stories for kids with pictures hold great appeal among kids. 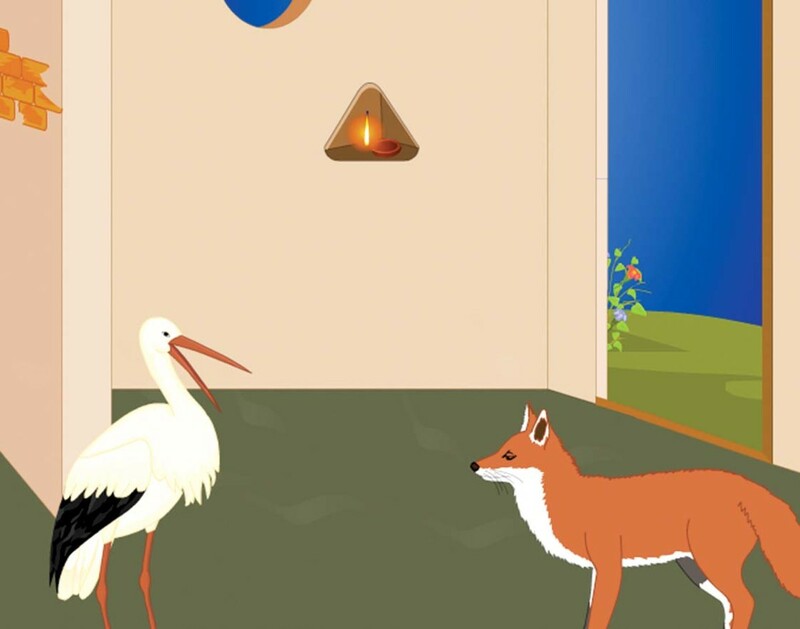 The fox and the crow fable is a popular short story for kids and is shown in this page with pictures. 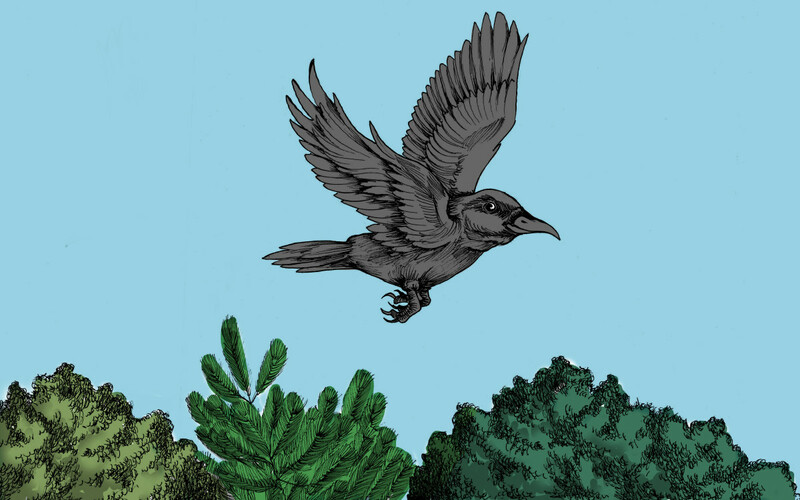 The fox and the crow - moral - is to avoid being proud. Children love short stories such as 'The Lion and the Mouse'. 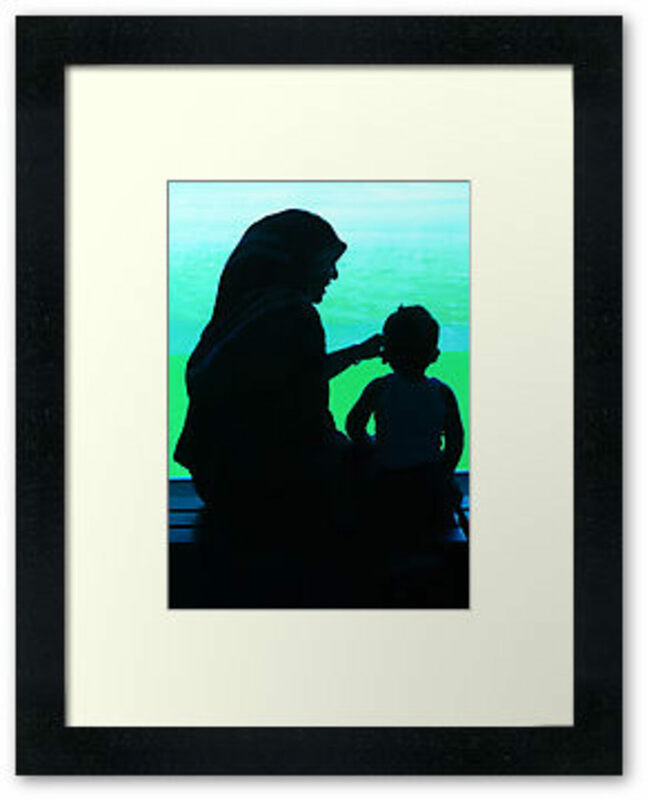 Kindergarten stories not only entertain the child but can also be quite often educative. 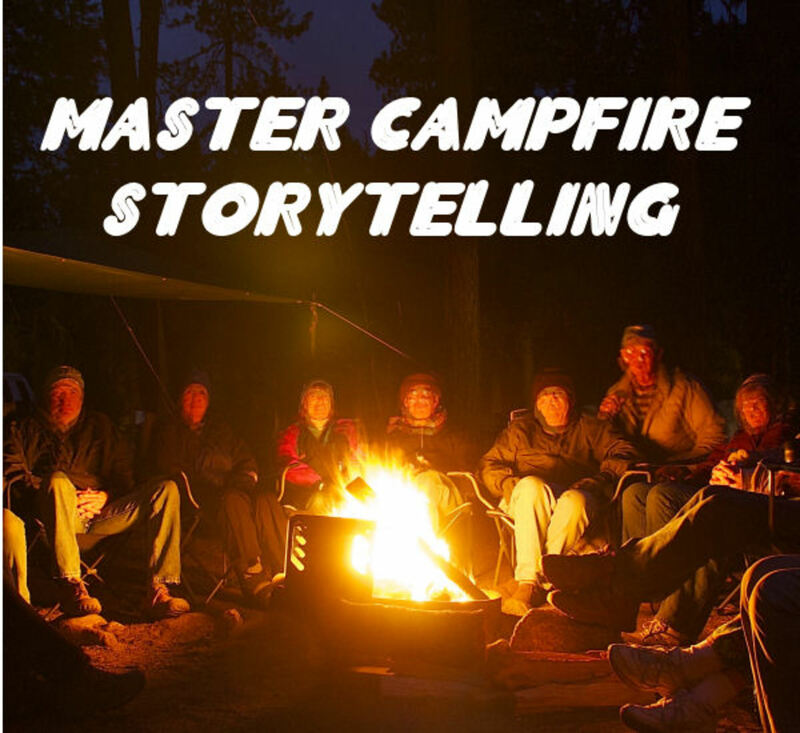 Do you know a lot of small stories for kids? Do you tell them to your kids often? Plz suggest a good title for d story Fox & stroke.....? We should do to others as we would like them to do to us.